Ebay sales from Wilkins Plant & Machinery Ltd - Located in Chippenham, Wiltshire Just off Junction 17 off the M4. 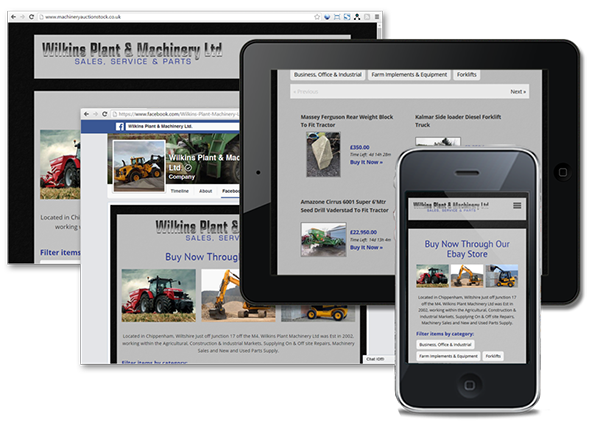 Wilkins Plant Machinery Ltd was Est in 2002, working within the Agricultural, Construction & Industrial Markets, Supplying On & Off site Repairs, Machinery Sales and New and Used Parts Supply. Click the screenshots below to visit Wilkins Plant & Machinery Ltd' Ebay Stock Website at www.machineryauctionstock.co.uk.